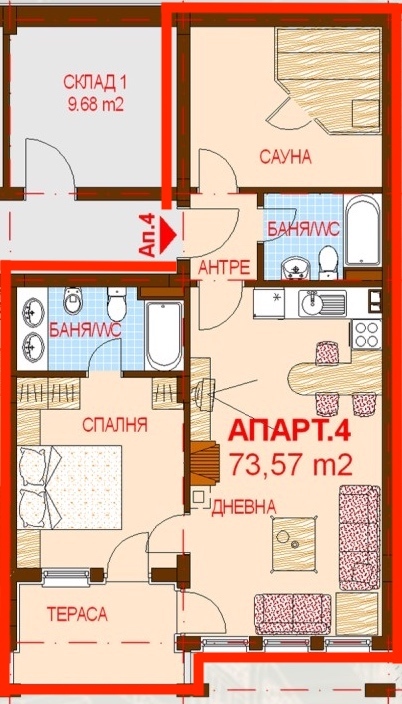 The apartment consists of: entrance hall, sauna, 2 bathroom with toilet, living room with kitchenette,bedroom, balcony. 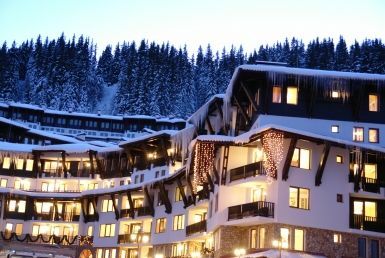 The property is completed turnkey, the bathrooms are fully equipped !!! 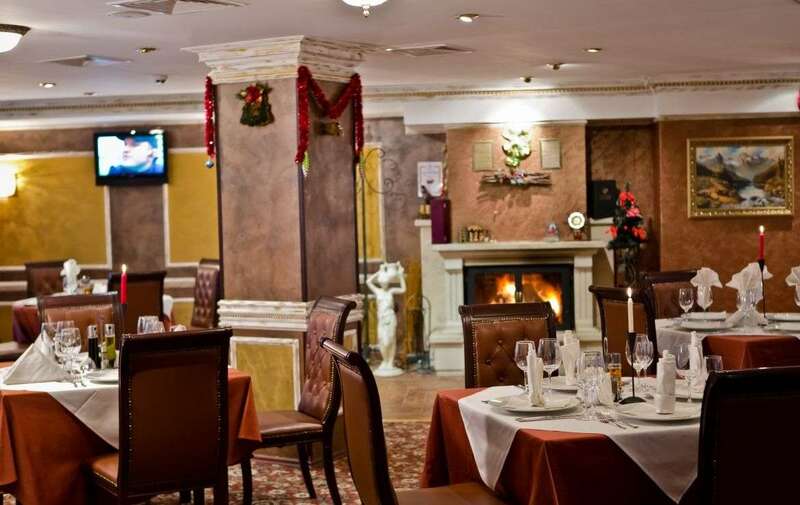 You can consult our subsidiary company Venid Interior for interior design and furnishing. 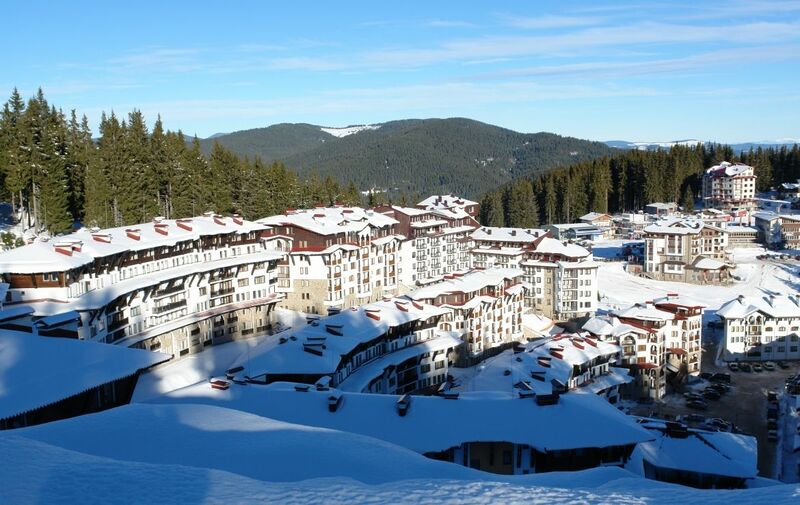 Located at 1675 m above sea level, Grand Monastery complex is located right in the centre of Studenets locality, where the routes of lifts in Pamporovo to the peak and Snezhanka Tower begin. 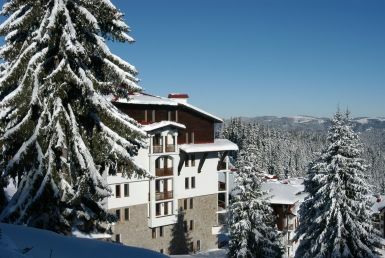 The buildings of the complex have been built in the style of traditional Bulgarian architecture. 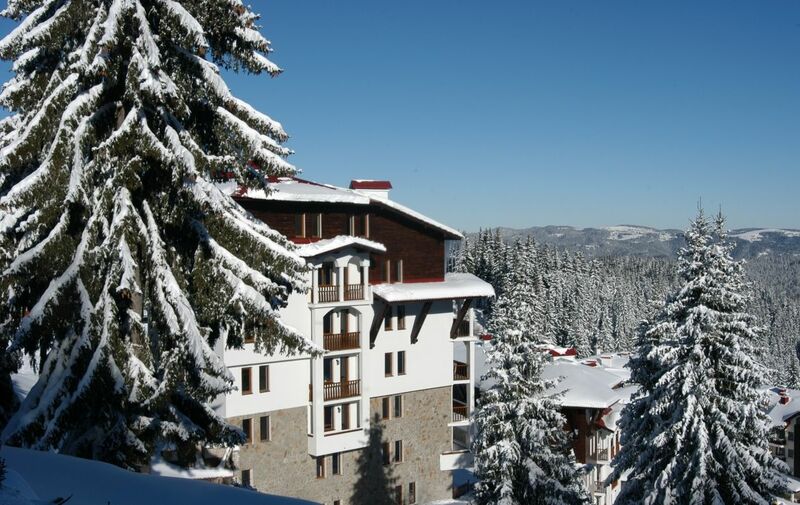 Each apartment has a fireplace and offers an unforgettable view to the beautiful slopes of Rhodopi mountains. 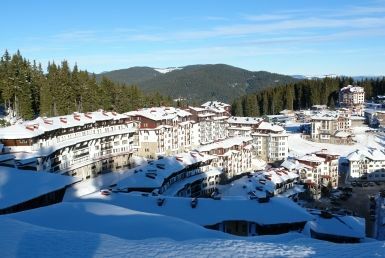 Grand Monastery complex forms the appearance of Dinevi Resort in winter conditions. The sectors in the complex have a passageway between them and share a common parking place and a reception desk. 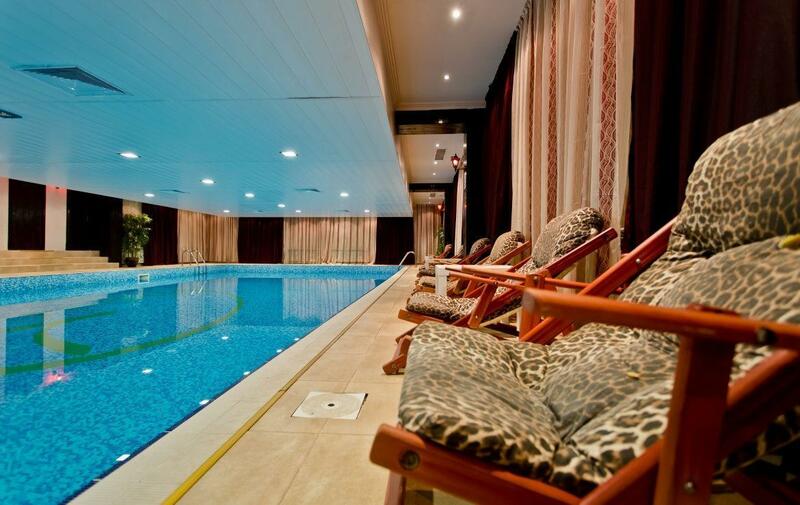 The complex offers a supermarket, several restaurants, a piano bar, a spa centre with a heated pool, beauty treatments, sauna, a beauty salon, massage, a fitness centre, a game room for children, bowling. 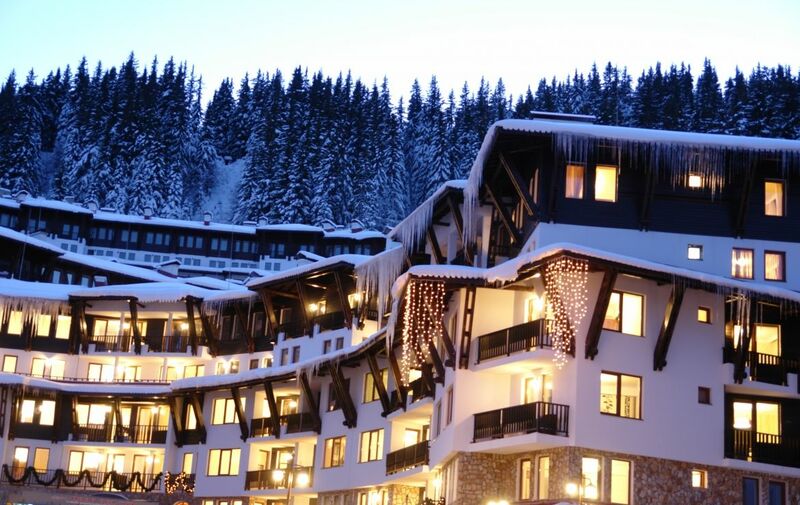 The fresh mountain air, beautiful scenery, perfect location and excellent facilities make Dinevi Resort in Pamporovo the perfect choice for investment and winter holidays. 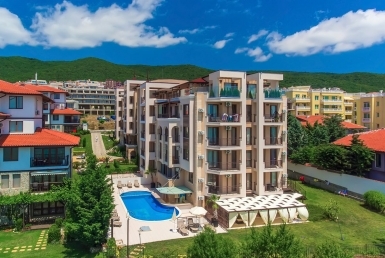 In addition to the desired destinations for you and your family, Grand Monastery has an excellent investment potential and provides an opportunity for a good rental income.